The influence of Tibetan culture reflects through the architecture and designs. The eye-boggling landscape sprinkled with beautiful cottages and monuments just pleases the eye. If the low temperatures in Ladakh makes you shiver, the extreme warmth of the locals grandly makes up for it. They welcome you with such tenderness and affection that you might just extend your stay. During your time there, feast upon the unbelievably delicious food, that you might not get easily elsewhere. An aura of surreal and serenity will engulf you almost the entire time. The magnificence of every turn and corner is so palpable that it might just make you cry happy tears, just at the thought of being at such a fascinating place. No artist could capture the beauty of this place, or do justice by their trials. And it just seems apt, that you too give it your best shot. And if you think that a part of you was left behind, don't worry, you're not the only one! And, it is in this fascinating land that we will ride our bullets to glory! Excited, nervous and ecstatic, you will fly over the magnificent himalayan mountains and reach srinagar.Today, we will take it easy and rest at the hotel. In the evening, we will go for a short stroll arounddal lake / do the shikara ride, do some shopping and just take in the amazing vibe of this beautiful mountain town. Overnight in srinagar. 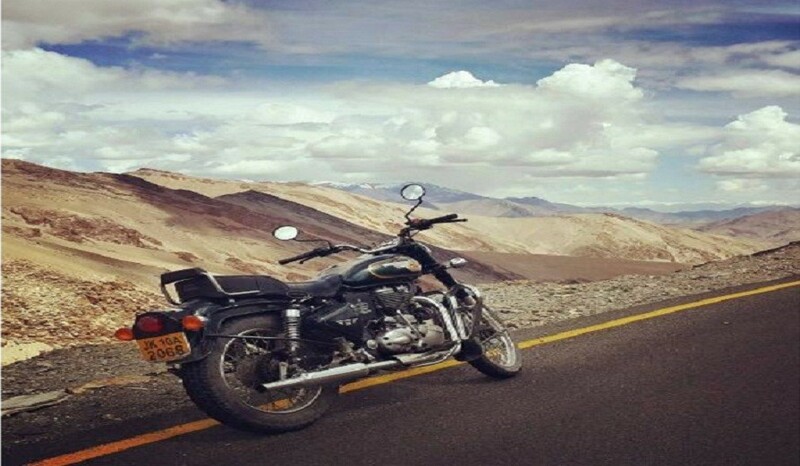 It is time to ride up the world's highest motorable road! This is every rider's ultimate dream! Standing tall and proud atop the pass and drinking a contented cup of tea is one of the greatest pleasures in life!Beyond the imposing khardungla pass and towards the north is this region of astounding beauty called the nubra valley. Embraced by the nubra and shyok rivers and home to the high-altitude deserts, this is a place which leaves many a travelers infits of joy! In the evening, as the orange sun sets against the stark ladakh mountains, we will go on a camel ride on the double-humped bactrian camels at the hundar desert!At night, the cold and crisp wind blowing over from the desolate north would make the campfire even more enjoyable! Overnight in hundar. After that, we climb up the gargantuan tanglang la, the second highest pass on our expedition! Climbing the taglangla and standing on top, with our proud machines and a wide smile is what life is all about! The climb is followed by a steep descent of around 35 kilometers passing through gorgeous mountain scenery! 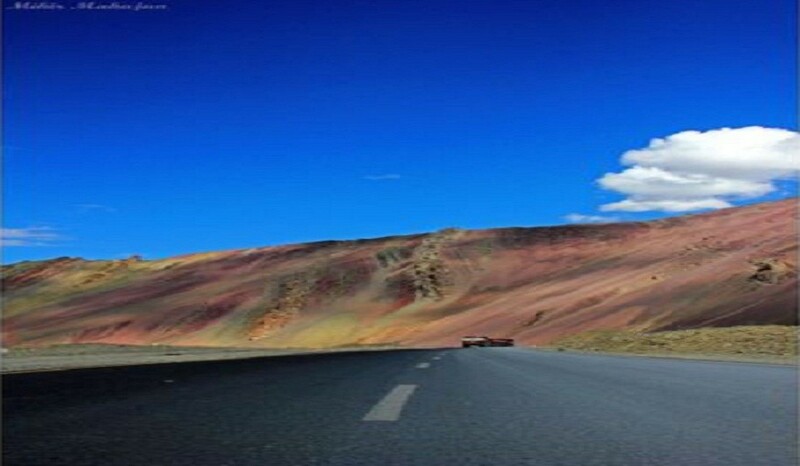 The tortuous road then comes to the charming little tsokar lake before passing through the land of the pang - where millenia of erosion has formed the most spectacular mountains formations! Vast faces have been chiseled in the soft sands of the mountains, beneath which the sarchu river flows ever so merrily! Finally, after 10 hours of long and hard riding, we reach the tiny camping site at sarchu! The campsite, the other-worldliness of the surrounding mountains and the frigid night air would make the hot chocolate taste like ambrosia! Talk about special moments! Overnight in sarchu. Day 9 - Towards Manali Riding distance: 220 kms. If yesterday was a ride through a rugged, beautiful and stark landscape, wait for today! Another epic ride, another magnificent route! 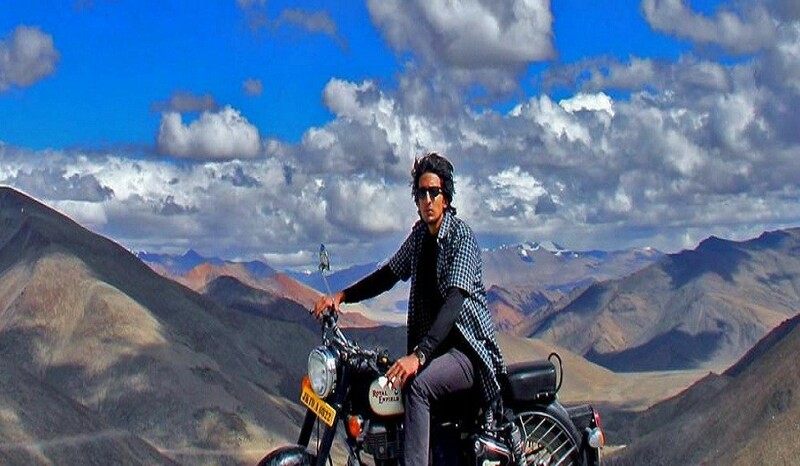 Our Royal enfields would ride across a few more formidable passes - the nakee la, lachulung la, baralacha la and the rohtang la - all standing proud and tall, all great testimonies to the great adventure you would have had! 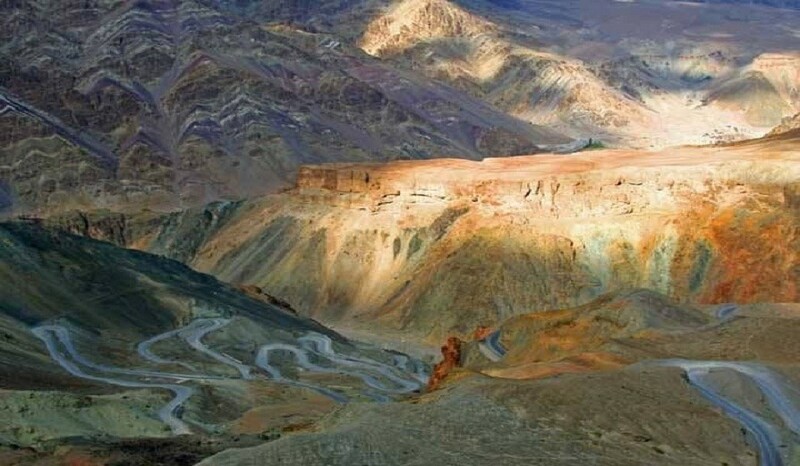 One of the most unique patches on today's ride are the 21 gata loops which are also called the 'jalebi bends'! Negotiating these tortuous turns would be your greatest feat! After another 10 hours of riding across these mighty passes, crystal clear lakes and tall pine forests, we finally roar into manali, that famed town acting as the gateway to the great himalaya for many generations! We will spend the evening just relaxing in the cool manali air! Overnight in manali. Day 10 - Exploring the Hidden Charms of Manali Riding distance: 70 kms. Day 11 - Reach Delhi and Depart with a Mountain Full of Memories! Brand-new 500 CC Royal Enfield bullets AND / OR AC Innovas for travel. Services of an experienced bike mechanic throughout the expedition. A back-up vehicle (TATA Xenon or Bolero Campervan) to carry your bags and other accessories and fatigued riders. Accommodation in double sharing rooms at hotels (2 or 3 star) and campsites. All meals from the lunch on day 1 to lunch on day 10 (daily breakfast, lunch and dinner). 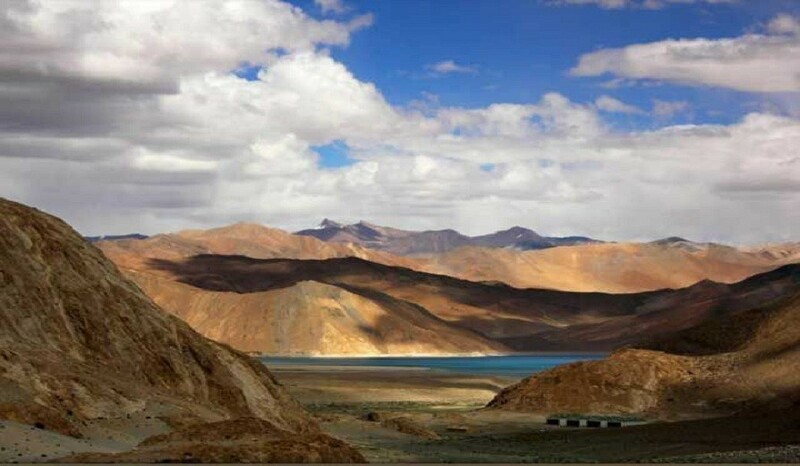 Transfers in Leh and Manali by Innovas. Wildlife fees for Pangong and Nubra. Ladakh Autonomous Hill Development Council Fees. All monument, monasteries entrances and fees. All service taxes and government duties. Manali to Delhi/Chandigarh Volvo charges. Laundry, telephone and internet charges. Mineral water, cold and hard drinks.